Posted 07-30-2018 by Andrew Yeager. 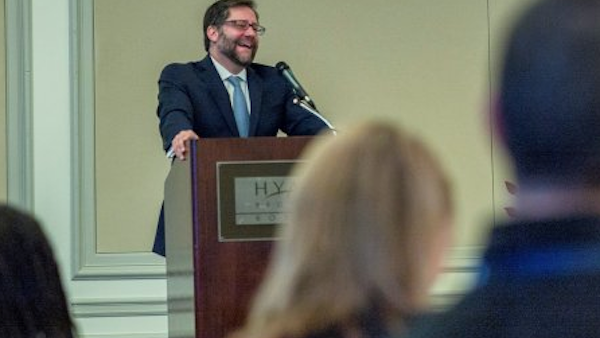 Jon Parrish Peede became chairman of the National Endowment for the Humanities in 2018. Listen to Alabama politicians talk about education and you’ll hear about workforce development. They say schools should focus on math and science to help industry grow. There’s less emphasis on music or literature. That concerns Jon Parrish Peede. The Mississippi native became chairman of the National Endowment for the Humanities earlier this year. WBHM’s Andrew Yeager spoke with Peede during his visits to Birmingham last week.